Our very busy 2018 has come to an end, and has been rounded off in a fun and interesting way with a Christmas visit across to RNLI Hastings. This visit to the iconic lifeboat house of RNLI Hastings gave us the chance to get a close up look at their beautiful new Shannon boat, a really amazing craft! It’s fair to say the mechanic enthusiasts from our volunteer crews all gazed in awe and wonder at the magnificent engine and came away with a wish-list which covers ideas for upgrading elements of our own crafts, base and equipment! 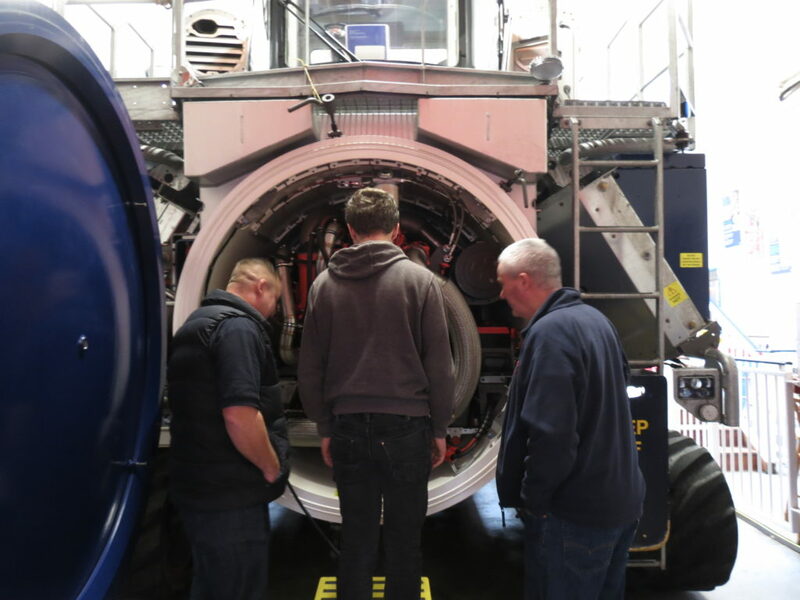 Shaun, Isaac and Russ, being inspired in the engine department! Some of the team were able to spend a little time chatting with the RNLI Hastings team but, as not all of our crew members were available on the day, another visit is being planned for later in the year. Because we’re an independent rescue charity, it’s important to us to spend time with our professional colleagues from the RNLI, as we all work together to support water safety along this magnificent coastline. Additionally, being independent means we don’t always have the same access to the wider sharing of good practice that national rescue organisations benefit from. For this reason, it’s also extremely valuable for us to have the chance to discuss the latest equipment innovations and to exchange techniques and training ideas with local RNLI teams, just as we do with our HM Coastguard and HM Search and Rescue colleagues. With all this in mind, we’re pleased to say that our training plans for 2019 include joint training with local and regional rescue colleagues, and discussions about this are already underway. Please keep visiting our website, Facebook and social media pages for updates and information if you’d like to read more about it as it happens. And if you’d like to be involved in 2019, even better! Donations are always appreciated and volunteers are always welcome. Please contact us if you’d like to find out more. 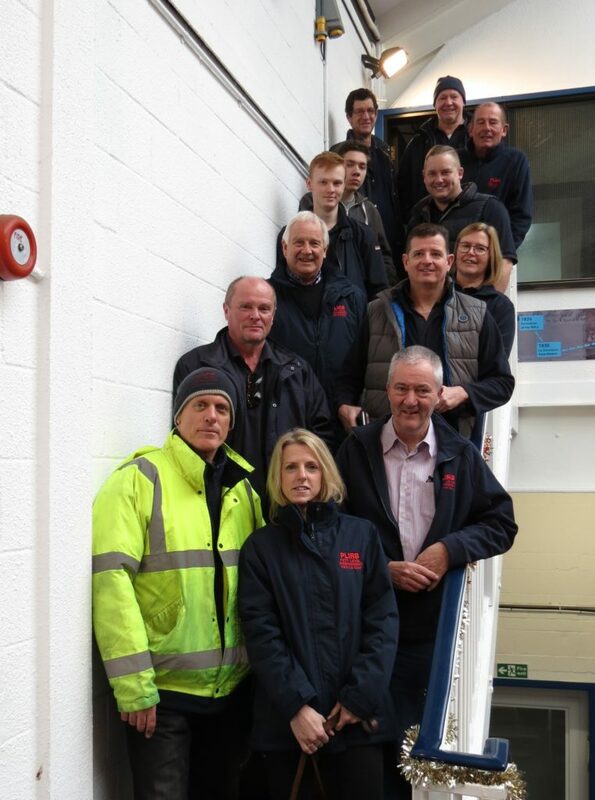 In the meantime, many thanks to RNLI Hastings for our visit and lovely warm welcome, and we look forward to seeing you again soon (and seeing how many more of our team we can fit onto the stairwell)!